Hello! Are you withstanding the doldrums of winter? The month of January had me hanging on for dear life - I wasn't fairing so well (remember when I told you dates were the highlight of my life and no, not a date with my husband) - pretty sure my Vitamin D stores were in negative deplete stage, but recently was able to travel to Cancún with some girlfriends from church to celebrate 40th birthdays! Vitamin D stores are fully repleted. When celebrating your birthday in Mexico every restaurant thinks you need cake after each meal. I wasn't complaining. Or a paper napkin rose. Will you accept this rose, Stephanie? 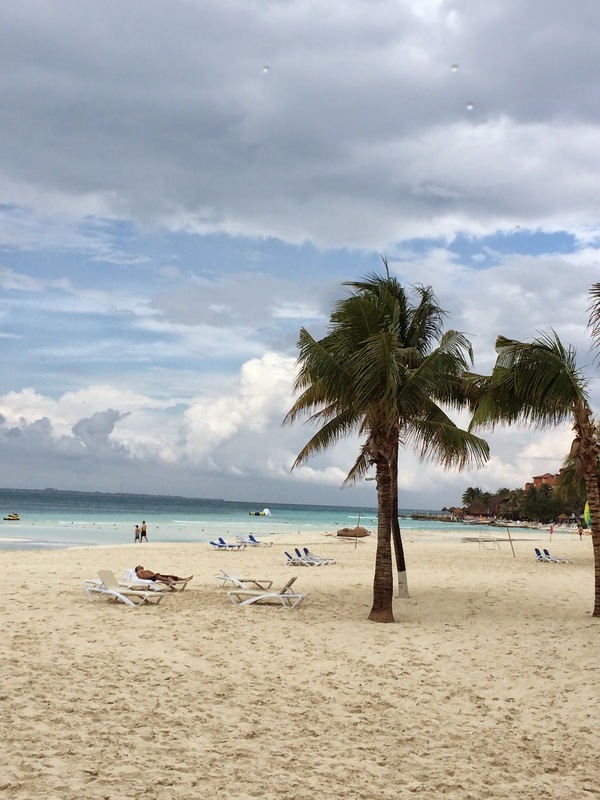 Mexico is also really good for inspiring fresh recipes because in Mexico it was all lime juice, coconuts and guacamole all day long. Absolutely NEVER complaining about that! More cake. 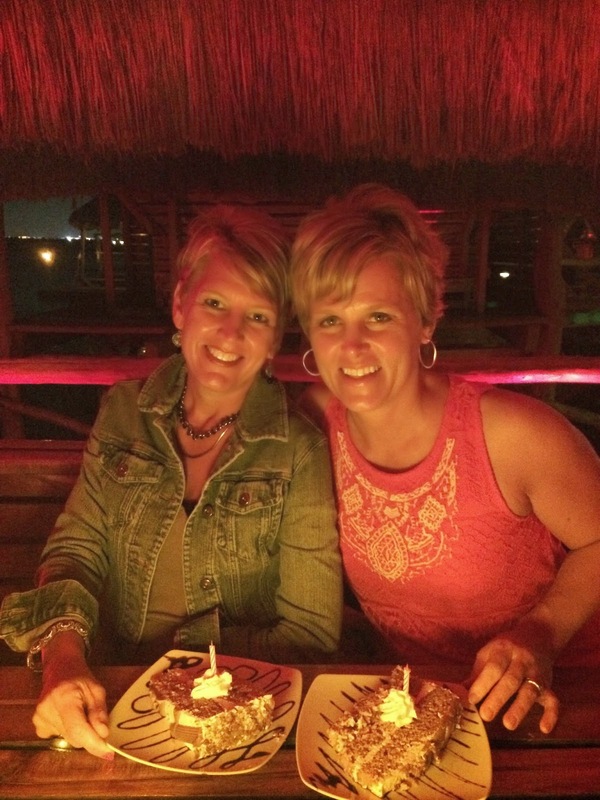 Happy Birthday Trisha and Julie - Beautiful Ladies. Aaaaaand more cake. Maurizio was our favorite bartender at our hotel. 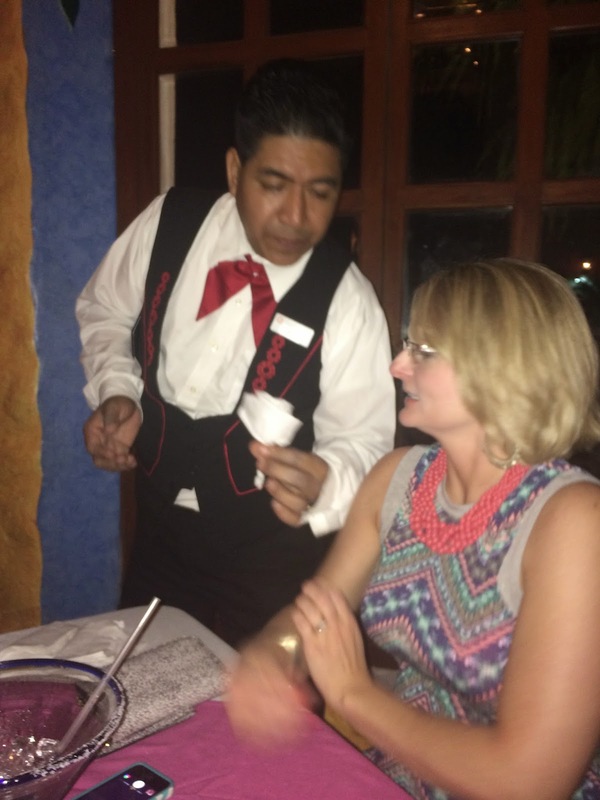 He wanted us to tell Trip Advisor he was really good at his job so his boss would allow him more pesos per diem. I did. Tell Trip Advisor, that is. 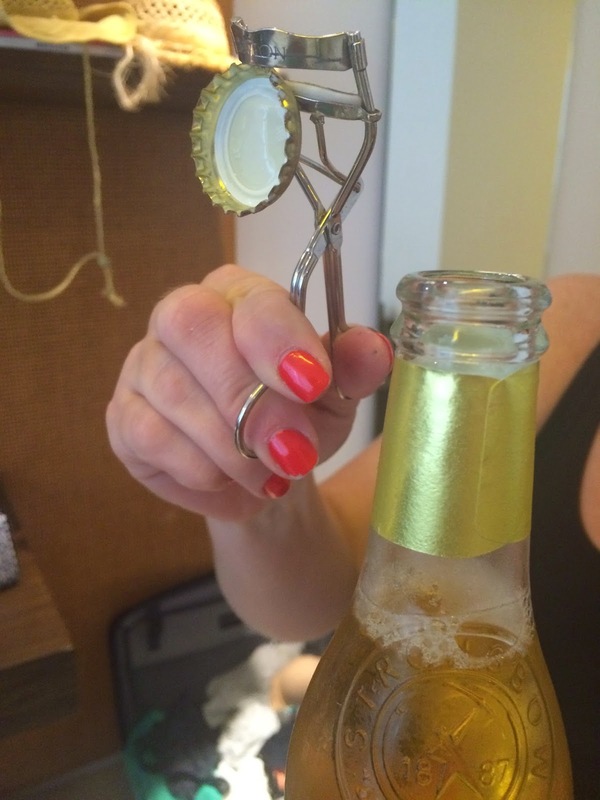 Who needs a bottle opener when you can use an eye lash curler? 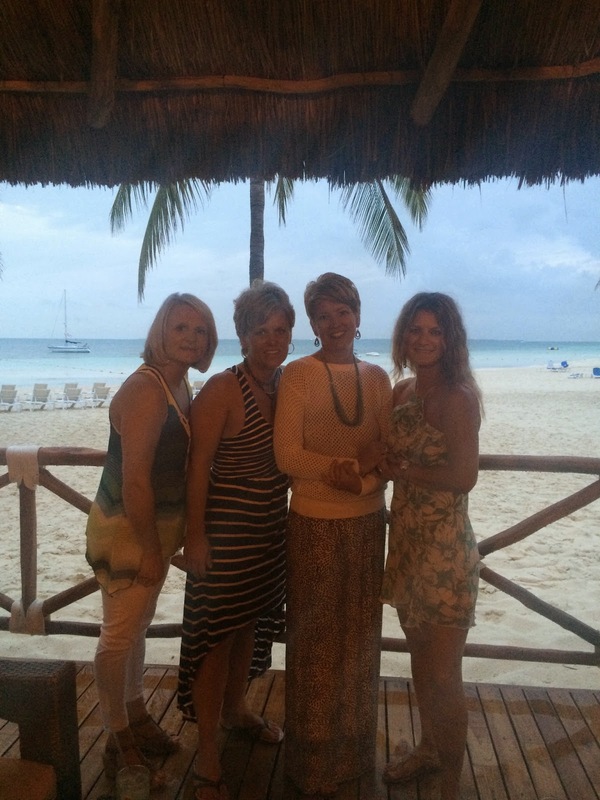 Lots of fun memories made in Mexico. Who turns 40 next?! All that lime juice, coconut and mango inspired a fresh, spring-time recipe! Spring Rolls with Spicy Peanut Dipping Sauce - made completely, 100%, downright resolutely MORE springy by stuffing these little rice wrappers with FRESH micro greens from the Buffalo Local Roots Food Co-op Online Marketplace. 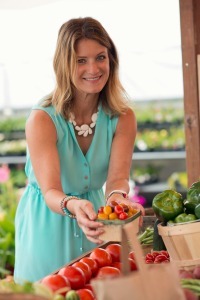 The producers of LRFC are producing local, organic produce in a greenhouse right in Buffalo! It's beyond exciting. Last weekend I helped out in the greenhouse by stirring up soil with bone and blood meal and transplating sweet little lettuce heads. In a week or two I'll be eating that lettuce. In February! In Minnesota. I don't know if you can tell how excited I am. I really want to type in ALL CAPS to really accentuate my excitedness, but that would be over done. Buy your greens here. Working in a food processor feed garlic cloves and ginger chunk down chute while running - run until minced finely. While motor is running add in remaining ingredients, whir until creamy. Pour into serving dish, set aside. Ready your filling ingredients on a work surface - quinoa, carrot, micro greens, herbs, and green onions. Other add-ins that work well: julienned bell peppers, cucumber, lettuce leaves, avocado, mushrooms, udon, buckwheat or rice noodles. Pour about 1" very hot water into a pie plate and place rice paper wrappers in bottom of plate to soften - about 1 minute. Lay out a cotton dish towel and place soften wrappers on dish towel, blot dry a bit. Divide filling ingredients between the four wrappers. Working with one wrapper at a time, fold over long sides about 1/2", fold over one short side and then roll up. Place seam side down on a serving dish. Using a sharp knife cut in half to serve. Serve with peanut sauce. Your trip looks most excellent! !